We recommend you to prebook your Behind the Scenes Tour online to guarantee availability and make a saving! You can pre purchase a Behind the Scenes Tour Ticket by buying an All Inclusive ticket (Admission + Behind the Scenes Tour) here. 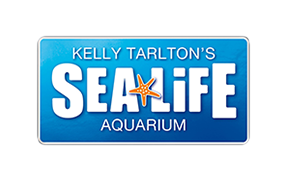 Alternatively, Behind the Scenes Tour tickets can also be purchased at SEA LIFE Kelly Tarlton's separately on the day of your visit, as an add-on to your admission at non-discounted rates.